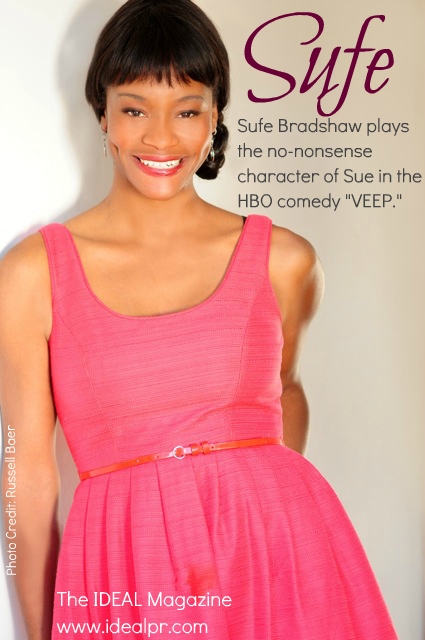 Sufe Bradshaw plays the no-nonsense character of Sue in the new HBO comedy "VEEP." Sufe has definitely evolved. Her talents have been showcased in theatre, film and most recently television. Sufe plays the no-nonsense character of Sue in the new hit HBO comedy VEEP. She jumped at the opportunity to work alongside such greats as Julia Louis-Dreyfus, Armando Iannucci and Simon Blackwell who have done such good work in the industry. She also sees a bit of herself in the character Sue Wilson. “I have a pretty straightforward quality about me. What we share in common is that we are pretty straight forward. I’m like that slightly with my acting career and my process. I am more applicable than Sue” laughs Sufe. Sufe Bradshaw is not limited to her acting abilities. 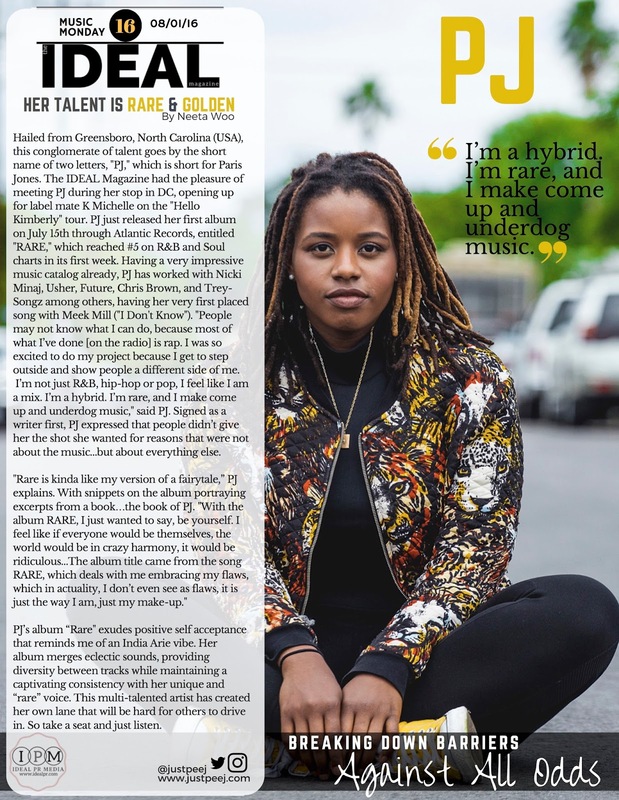 She also practices the art of spoken word as a poet herself; this is another opportunity for her to communicate with the world. 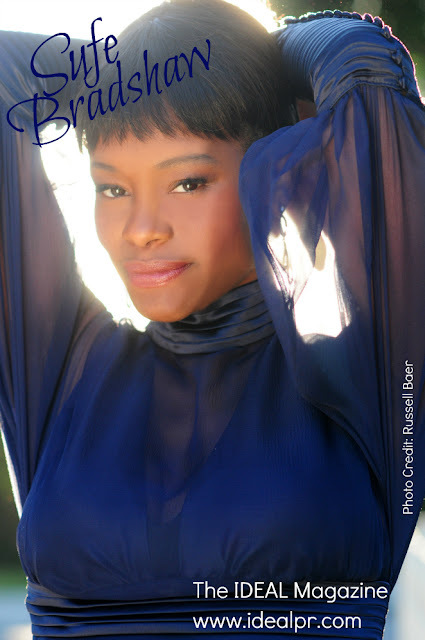 Performing at the Greenway Court Theatre allows her to stay active with the youth. Sufe is a community activist and has a strong passion for today’s youth. This passion is taking her to another level in her career which is that of documentarian. She is currently developing a new documentary that highlights teens in today’s world and the choices that they make. Sufe states, “I like telling stories. I think acting is a great conduit to communication. The idea of being able to reach a child in China through the art of acting, I am able to communicate (hypothetically) with that kid. That is a big power to have; it is a great tool to help people see our similarities vs. our differences.” One of Sufe’s favorite quotes is “Be the change that you want to see in the world” by Gandhi. I do believe she is well on her way. She is funny on the show. Oh wow, I have to watch this show next season!